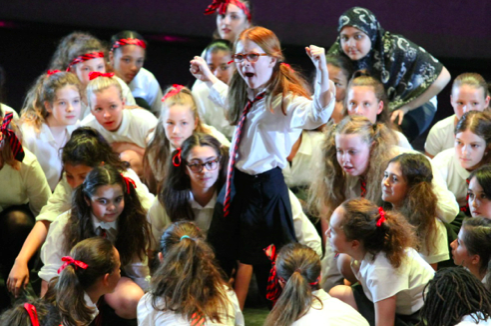 Young dancers from across London joined together on Sunday in London’s biggest celebration of youth dance at Sadler’s Wells Theatre. The performances were all part of Step LIVE!, the end of year showcase from Step into Dance. All year, 6000 young people from both mainstream and SEN schools have been participating in dance classes thanks to the Step into Dance programme – a partnership between the Royal Academy of Dance and The Jack Petchey Foundation. Following a series of London-wide events, plus a round of auditions, the most talented and committed groups were selected to perform on the Sadler’s Wells stage at Step LIVE! 2015. The show featured over 400 young dancers, all aged between 11 and 18 years old from across London and Essex. Step LIVE! was particularly special this year, as it is the Jack Petchey Foundation’s 15th Anniversary and Jack himself turned ninety years old. To celebrate 300 balloons floated down into the auditorium as all sang ‘Happy Birthday’ to Jack. Many special guests attended this celebration, including the President of the RAD, Darcey Bussell CBE. 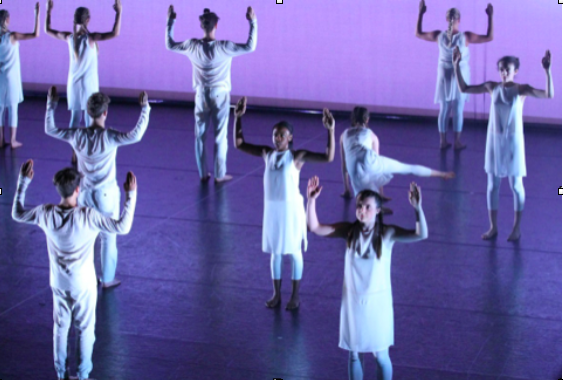 The Step into Dance Contemporary, Street and Jazz Youth Companies – made up of some of the most gifted dancers on the programme, took to the stage together with groups from 17 different schools. Alongside these were two specially commissioned works from international choreographers, James Wilton and Natasha Gilmore. Natasha’s inclusive piece brought joy to all, giving a peek of what is to come with the new Inclusive Youth Company, which is to be officially launched in September 2015.